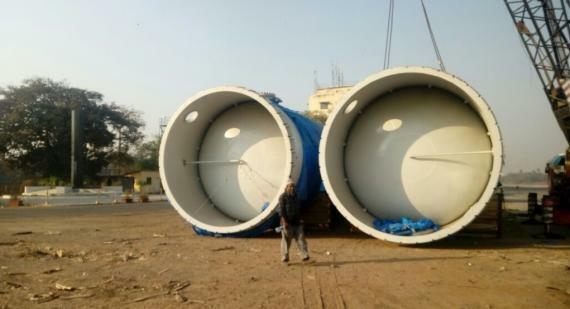 Members in India, Express Global Logistics (EXG) have recently delivered 2 sizeable HP heaters to Mumbai Port for Fabtech Project & Engineers. 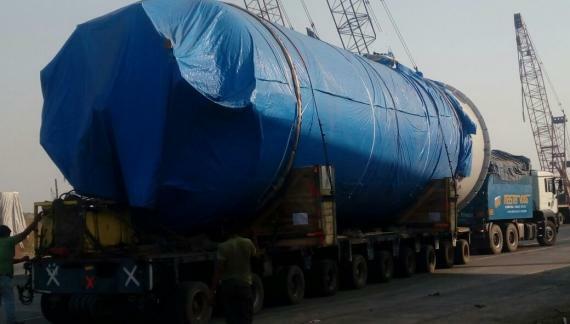 The heaters each weighed 41.4tns with dimensions of 14.40 x 4.70 x 5.06m and were transported from Chakan to Mumbai Port at a distance of 530km. 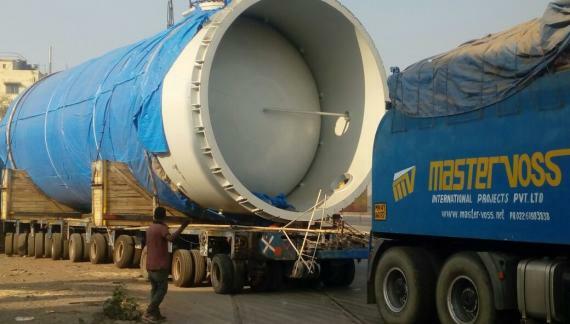 EXG used a 10-hydrodrolic-axle and a 8-hydrodrolic-axle both with prime movers to handle the over-dimensional cargo. 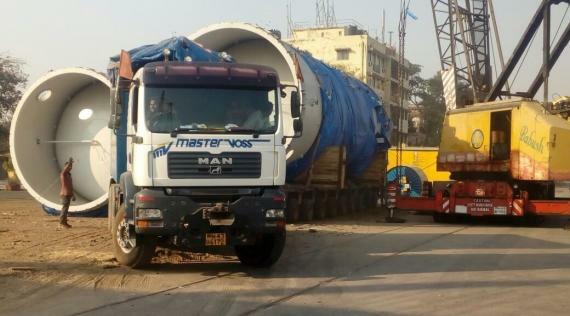 Nandit Dayal at EXG explains; "After being awarded the contract, we had to perform a very detailed and intricate route survey as the loaded trucks had a ground clearance of 6.2m with many permanent and temporary obstructions to deal with. 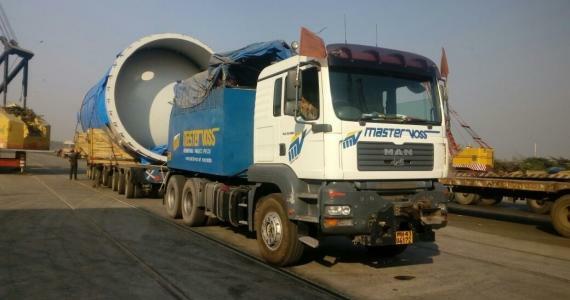 During the survey, we also had found that a new bridge was being constructed at the Sinnar-Ghoti Bypass on the preferred route and therefore, we had to find an alternate route at short notice." 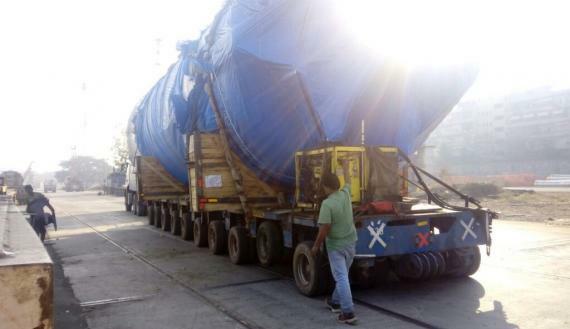 EXG were yet again successful in delivering the challenging cargo to Mumbai Port safely, on time and without damage. Please see below for photographs.